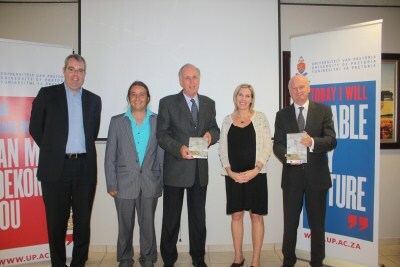 It is against this background that the University of Pretoria, in collaboration with the University of KwaZulu-Natal, the Medical Research Council (MRC), the Delegation of the European Union to the Republic of South Africa, and the Africa Centre for Health and Population Studies have launched HIV and TB drug resistance and clinical management case book. This book uses a case-based learning approach to present healthcare workers with the most important information needed to offer their patients the best possible care and to improve their programmes to prevent the emergence and spread of drug resistance. The focus is on the interpretation of diagnostic tests related to drug resistance. - Acquire information about how to select second-line regimens for HIV and TB and how to offer comprehensive care to patients with drug-resistant HIV and TB. Published by the MRC, the book is also funded by the Council, together with grants from the Delegation of the European Union to the Republic of South Africa, Centers for Disease Control and Prevention (CDC)/the United States President's Emergency Plan for Aids Relief (PEPFAR) and the Wellcome Trust. It is published under an open-access licence. Approximately 2 000 copies of the book will be sent to health facilities and medical personnel in South Africa. The book forms part of the long-standing capacity-building programme of the Southern African Treatment and Resistance Network (SATuRN) which has trained 1 650 clinicians, nurses and pharmacists in Southern Africa via free capacity-building workshops. Preceding the launch is a workshop for 50 'front-line' clinicians and nurses in the uMkhanyakude district, one of the most deprived districts in South Africa and at the epicentre of the HIV and TB syndemic, with particularly high levels of drug-resistant TB. Dr Theresa Rossouw, HIV Clinician and Researcher at the Department of Immunology at the University of Pretoria and also the author of the book, says that the cases presented in the book were produced from years of experience in treating patients with drug-resistant infections and from training junior clinicians. She goes on to say that the cases should cover many important aspects of managing patients not responding to ARVs and anti-TB medication. 'The purpose of the book is to raise awareness among the health workers to the possibilities of drug awareness development, explaining how this resistance develops and how it can be prevented; and also how the consequences of this resistance can be limited so that it does not get worse in cases of patients who have already developed resistance,' she emphasises. Dr Tulio de Oliveira, co-author of the book and a Director of SATuRN and Senior Researcher at the Africa Centre for Health and Population Studies, says that the book is published at a very important time as the National Department of Health has expanded TB drug-resistance testing to most of the facilities in South Africa and is planning to do the same for HIV drug-resistance testing. Another co-author, Dr Richard Lessells, also a Researcher at the Africa Centre for Health and Population Studies, explains that this book will give healthcare workers an understanding of why HIV patients on ARVs fail, especially with regards to problems of adherence to medication. He goes on to say that it would also help healthcare workers who see many patients. Sometimes such healthcare workers are deprived of an opportunity to further their knowledge, but the book will help them to learn from some of the cases which may be unfamiliar to them. The Vice-Chancellor and Principal at the University of Pretoria, Prof Cheryl de la Rey, appreciates and acknowledges not only the authors and the work, but also the partnership with the University of KwaZulu-Natal. She is a strong advocate of partnerships between South African universities which she says 'enhance the contribution of the academic proposition to our country and to the continent'. Prof Eric Buch, Dean of the Faculty of Health Sciences at the University of Pretoria, also reiterates the same sentiment and says that the collaboration of the two institutions fills a void in dealing with the HIV/Aids and TB epidemics. 'The challenge of the next decade is going to be drug resistance, and if we don't get that right, we are going to face resurgence of HIV/Aids and tuberculosis that is going to overturn all the public health gains that we have achieved', he explains. Prof Buch concludes by stating that the book is a pioneer that sets a path in going forward towards good quality care for patients with drug resistance in HIV and TB, and it would help ensure that patients get the correct treatment. A resulting reduced number of infections would not only benefit the patients, but society as a whole.